Since the first apéro was a success, we are getting back at it. 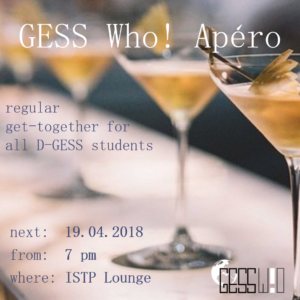 We invite you to join us again on the 19th of April for our second GESS Who! Apéro. Come to the ISTP lounge for some wine, beer and good company for a nice break during the semester.